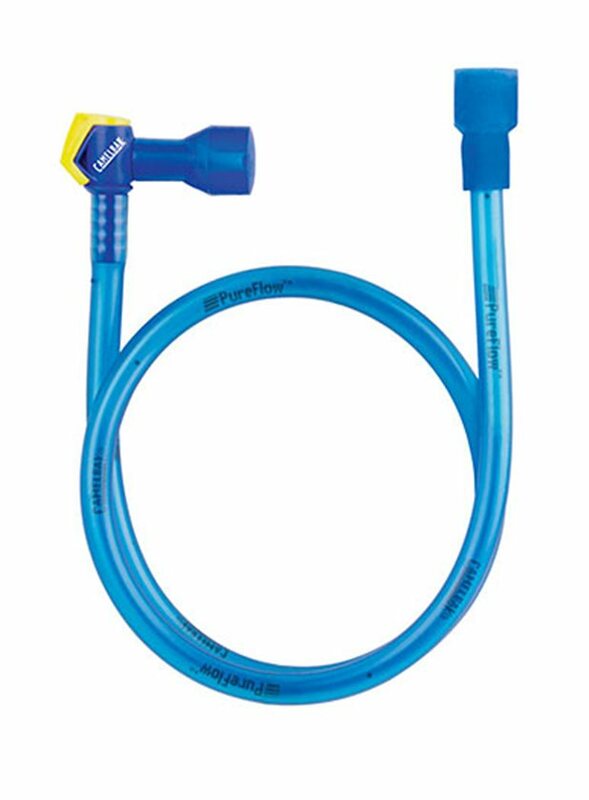 Use a Camelbak Hands Free Adapter to convert any eddy bottle into a hands free hydration system. Attach the 28 inch PureFLow tube to the bottle and stow it in a pack. Run the tube to a convenient location and sip away through the Ergo HydroLock and Big Bite valve. Shut-off valve lets you control liquid flow. Turn on when you need it; off when you don't. 90-degree bend perfectly positions the Big Bite Valve for easy drinking.